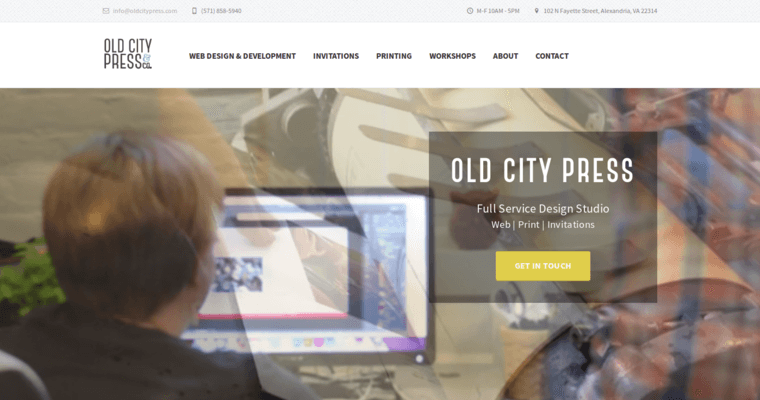 Old City Press, located in Alexandria, Virginia, is a innovative and creative digital design studio. The company offers services on projects of all sizes. 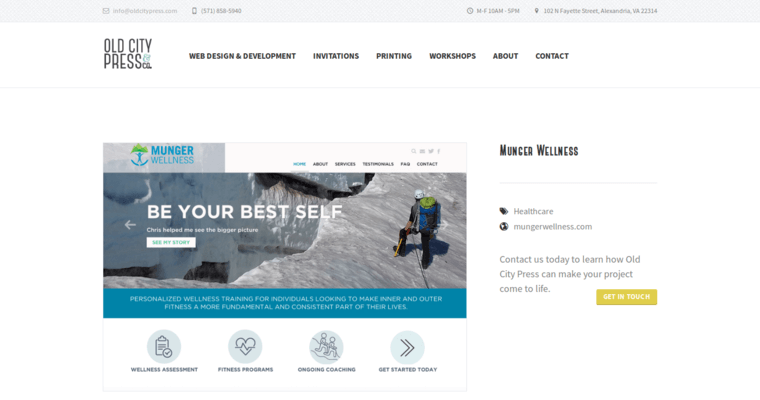 The staff of designers offers customized website design and development, which helps customers receive optimum search engine exposure on the Internet. 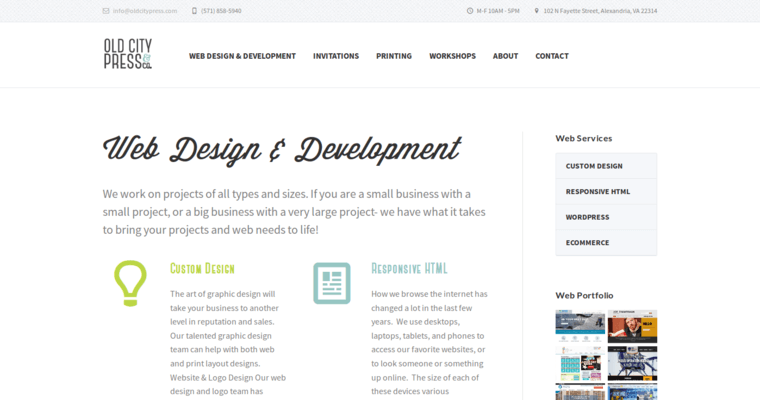 Specialized web services include responsive Hotmail, WordPress, and ecommerce. The team of developers use HTML and CSS code, and then they incorporate the code into a content management system, which will enable customers to manage blogs, news, or updates. Old City Press offers pre-designed or customized invitations for any occasion. The company also provides a variety of printing services such as custom business cards, personal stationary, and polymer plate making. Old City Press provides an Intro to Letterpress Workshop, which gives customers the chance to make prints from the company's wood font collection. The workshop also allows customers to make monogram posters and greeting cards.